Jeff Harmon offers 3 Lightroom tips based on questions that were asked at or just after the Improve Photography Retreat in March 2017. Lightroom Keyboard Shortcuts. It will increase the speed of your photography workflow if you will learn the Lightroom Keyboard Shortcuts. 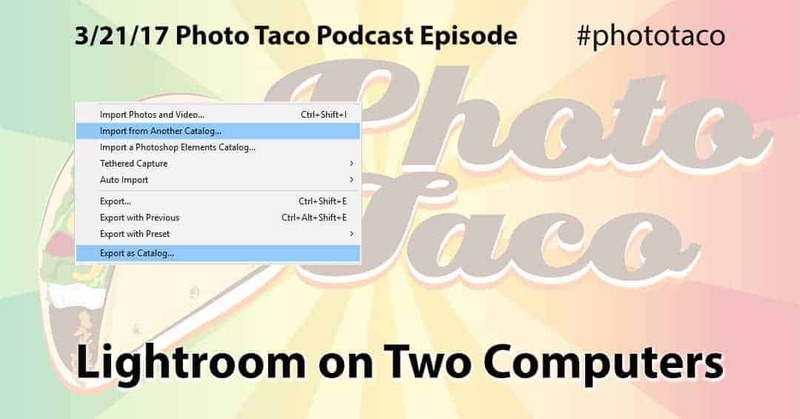 Bring up an overlay of the shortcuts available where you are at in Lightroom by using command-/ on Mac or ctrl-/ on Windows. Lens Recognition. Sometimes Lightroom does not correctly identify the lens correction profile to apply to your photo automatically. You can teach Lightroom which profile to use with your specific lens by doing “Save New Lens Profile Defaults” after manually applying the correct lens profile. Lightroom on Two Computers. This is NOT using the same Lightroom Catalog on two different computers at the same time. That is not a supported function in Lightroom today and you are asking for trouble if you attempt to do that. This is using Lightroom on a laptop when mobile and on a desktop at home and how to get the edits made in Lightroom on your laptop over to your desktop when you return. There are many options for this but the one I prefer is exporting a catalog to an external drive from the laptop and then importing that catalog to the desktop.